Home buyers who put less than 20% down, and are not utilizing a government insured loan program (such as FHA & VA), must obtain private mortgage insurance (PMI). PMI is a set of premiums that protect lenders from losing money as a result of borrower default. While these fees allow borrowers to purchase homes with minimal upfront cost, PMI provides no direct benefits to borrowers. PMI fees will vary depending on the down payment and mortgage amount (although they typically range from 0.3% to 1.15% of the mortgage balance, according to the Mortgage Bankers Association of America (MBA)). As part of the American Taxpayer Relief Act of 2012, insurance premiums are tax-deductible. Imagine that a borrower puts forth a 10% down payment on a $200,000 home, amounting to $20,000. In this case, PMI would average $900 annually, which would be split into twelve monthly payments of $75. For a $100,000 home, the minimum down payment to avoid PMI would be $20,000, without considering the additional fees and closing costs. However, once homeowners reach 80% loan-to-value (LTV), meaning the mortgage balance is less than or equal to 80% of the home value, they can cancel their PMI coverage. PMI companies have minimum payment criteria that must be met before they will cancel the premium, even if you're below 80% LTV. Most require that you've made at least 24 payments. Once you know the name of your PMI company, ask them for the number of payments required before you can petition to have the insurance removed. When managing a mortgage with PMI, keep track of payments of the mortgage to determine when the mortgage debt will reach 80% LTV. Once the balance reaches 80%, homeowners can notify the lender to cancel PMI fees, although an appraisal may be required. Additionally, homeowners must take into account any change in the value of their property, as this will affect their amount of equity and eligibility for discontinuing PMI fees. According to the Homeowners Protection Act of 1998, lenders must inform the buyer at the time of closing how long it will take to reach the 80% LTV ratio. Furthermore, lenders must automatically discontinue PMI once the mortgage balance reaches 78%. However, for high-risk borrowers, the law permits lenders to continue charging PMI fees down to 50% LTV. These riskier cases may include loans with reduced documentation, in which borrowers provide significantly less proof of income, employment, and other relevant information during the application and underwriting process. Borrowers with damaged credit or excessive debt-to-income may also be grouped into this category. In today's mortgage market, borrowers have several options for circumventing mortgage insurance premiums, even without putting 20% down. Tax Advantage Mortgage Insurance (TAMI) requires the borrower accept a higher interest rate at closing. The borrowers can forego paying costly private mortgage insurance requirements. Depending on the size of the down payment and credit scores, borrowers can expect a rate increase between 0.75% and 1%. The tax advantage is the ability to deduct the interest, whereas mortgage insurance fees may or may not be deductible, depending on borrower income and when the loan was initiated. Although much less common following the disappearance of the subprime mortgage market, the 80-10-10 mortgage can be an effective way to get around paying private mortgage insurance fees. 80-10-10 loans allow borrowers to accept a higher interest rate on a smaller loan to avoid paying expensive PMI premiums. Private mortgage insurance is required until 20% of the home value has been paid off (equal to 80% LTV). At this point, the borrower can request removal by contacting their lender. At 22%, lenders are legally required to remove private mortgage insurance. But there are exceptions such as when the borrower makes a principal reduction to lower the LTV to or below 80% LTV during the early stages of repayment as a minimum number of payments may be required. Before making a principal reduction, the borrower should contact the lender to inform them of their intent and inquire if there is any guideline for a certain number of payments that must be made with PMI. The borrower should then determine if the additional cost of the required PMI is greater than refinancing to remove the PMI altogether. If so, refinancing should be considered. Another example would be if the borrower has had a history of missed payments, the loan may be considered "high risk" and PMI may be kept in place. 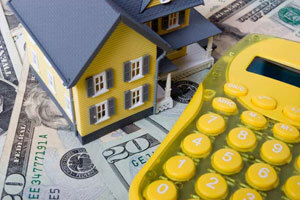 PMI may also be retained if there is an outstanding lien on the property. If you are considering paying less than 20% down for your home, you should ask your mortgage lender about PMI. Good lenders will shop around for the best PMI insurance quote for you, and from companies they trust.